dilys+asante, confectioners of interactive delights and pretty lights, work together as prop-makers and dancing artists-in-residence for some of I Love Vinyl‘s best and brightest New York-based parties. Mixing familiar funfair delight with social media, textiles and twinkling electronics, dilys+asante’s props invite a club crowd to show their appreciation for dance music selected and played as it should – in high fidelity, on vinyl. 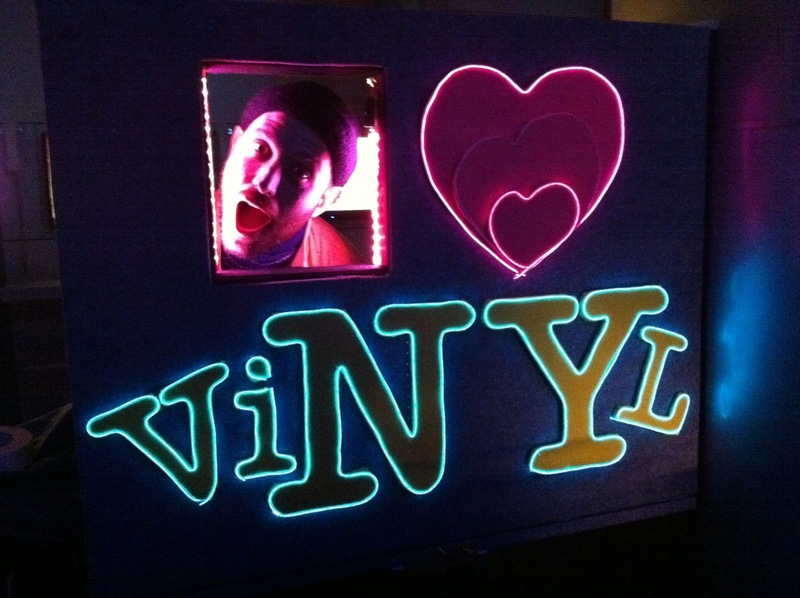 For Hallowe’en in 2010, we made our hugely successful logo-photo-booth. Throughout each night, anyone in the booth could email their own pictures to view and share here, on facebook and on the I Love Vinyl online family album during and after the shows. Check the slideshow and project pages for archived stills and movies of people playing with our work, and a look at how we make it. Follow us here and @dilysasante on twitter.